In this customizable program, YOU choose the focus for your career coaching and I'll guide you through it step-by-step! Plus, learn how to quickly get unstuck and overcome obstacles that stop you in your tracks with proven and practical research-based tactics, so you’ll be FASTER, BETTER, and STRONGER at taking your next steps now! Perfect for anyone READY to make a career shift but not sure how to proceed. Ideal for professionals caught in a "career rut," feeling stuck, or just wanting something more. Great for new grads, or those re-entering the workforce after a break. This step-by-step program is designed to get you from where you are NOW to where you want to be NEXT! 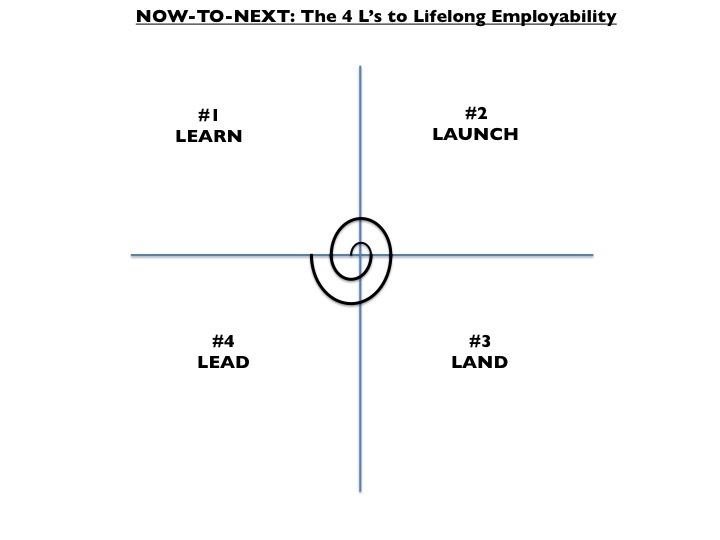 Using the 4-step NOW-TO-NEXT© system, The Flex Option allows you to choose precisely the coaching you need right now with "mini-packages" focused on key career topics. To customize your coaching, just select one or more of the Steps. Choose any or all--it's flexible! Bottom line: When you’re looking for work, you’re just looking for people you can HELP. People hire other people to help them solve problems. That’s why “Help Wanted” signs exist! This is the key to understanding how hiring really happens + the “secret sauce” to finding your true career fit today. In Step #1, you'll learn to: "harness the power of helping;" identify your TOP talents, interests + priorities; leverage them to find TOP opportunities where your unique “edge” can have the biggest impact; + build the confidence to take next steps! WANT HELP WITH THE HUNT? Resume + Search Strategies that "hack the job hunt"
This step pulls you away from the old tactics of scouring job ads, sending resumes + crossing your fingers hoping to be picked--no more "spraying + praying!" 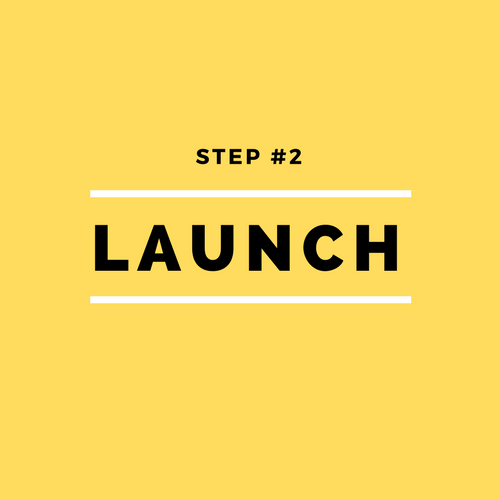 In Step #2 you'll launch your search to “mirror the market" + align your time and efforts with how hiring actually happens. You'll flip the job search formula, use the "POP method" to connect with MORE people, and leverage proven tactics that 3X your hirability to "hack the hunt!" NEED TO SEAL THE DEAL? Career paths today are no longer linear, and constant change is now the norm. Your professional growth and navigation is up to YOU. YOU need to guide your own career, rather than relying on chance! 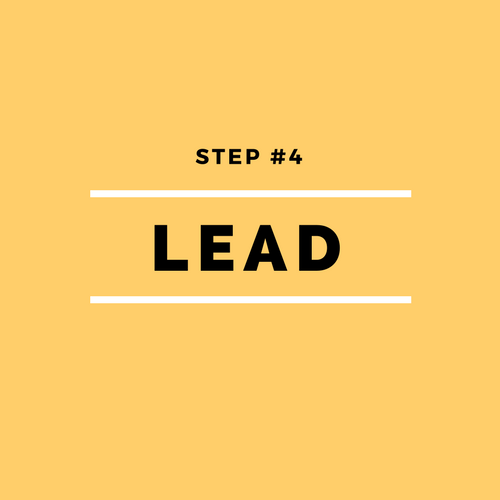 Step #4 shows you how sustainable career success today is built by “Career Leaders not Career Ladders”© + how to continuously adapt to changing circumstances, add ongoing learning to avoiding “stalling out” and to level-up your leadership for Lifelong Employability. *Continually figure out what's next, so you can keep doing your best work for those who need you most! Interviewing, Negotiating + Starting like a PRO. In this step, you'll learn how to "connect the dots" for others, making it EASY for them to hire you for the right role + fairly compensate you from the get go! You'll learn how to interview like a pro, negotiate so everyone benefits, and start new opportunities with a plan in hand to achieve, prosper + thrive in your workplace. *Negotiate + effectively--"Help-Help"© not "Win-Win"
To get the EXACT coaching you want, just CLICK THE BUTTON BELOW THE STEP + you'll be guided to the purchase page. Remember...you can purchase one or more of the STEP modules--it's flexible! WANT THE BEST VALUE for YOUR INVESTMENT? All together you're receiving more than $300 in savings for the value of this package!